Yo, September and October are always such busy months. The weather is in its prime, sports happen, and every event known to man is crammed into the calendar-equivalent of a Brooklyn studio apartment. Tired of guzzling price hike gas and parking problems? Pedal down to the Plaza Friday night. It'll make bar-hopping that much better. Excellent graphic artist and DJ Aaron Cahill is this month's feature. He'll be performing with the DAMN HAZE. We'll also throw some new stuff on our in-store press. Ride on by! If you're going to elbow your way through the maze of fried food, you might as well stop by and say hi as we paint panels. We've expanded the event again this year, going from 6 artists a few years ago, to 15 last year, to a whopping 18 this year. Each artist will bring their own ideas and unique styles. Take pics and tag us with your favorites. If you're an aspiring painter or arts supporter, check it out! Our free, biweekly drawing hangout sesh is open to all skill levels interested in developing the craft. No curriculum, and our only hard and fast rule is that you respect others. Post up, bring supplies, meet designers, graffiti artists, comic book creators, and casual doodlers. Swap tips, learn about supplies, and scribble away your worries. BYOB. The final show of our summer series anticipates cool weather and dreamy tunes from local bands Haniwa and The Ivy. Listen below for delicious indie-pop vibes. PS - This show will start later to accommodate the musicians' open house at Tower Theater. We're shooting for something like 9-9:30. Mark your calendars for Saturday, September 30th - this will be a whole day of celebrating local arts, culture, and the revitalization of our little neighborhood. There will be craft tents, three stages of music (headlined by the ever-cool Sports), food trucks, fresh murals, and good times. Well there you go, now you have plans. Let the good times roll. 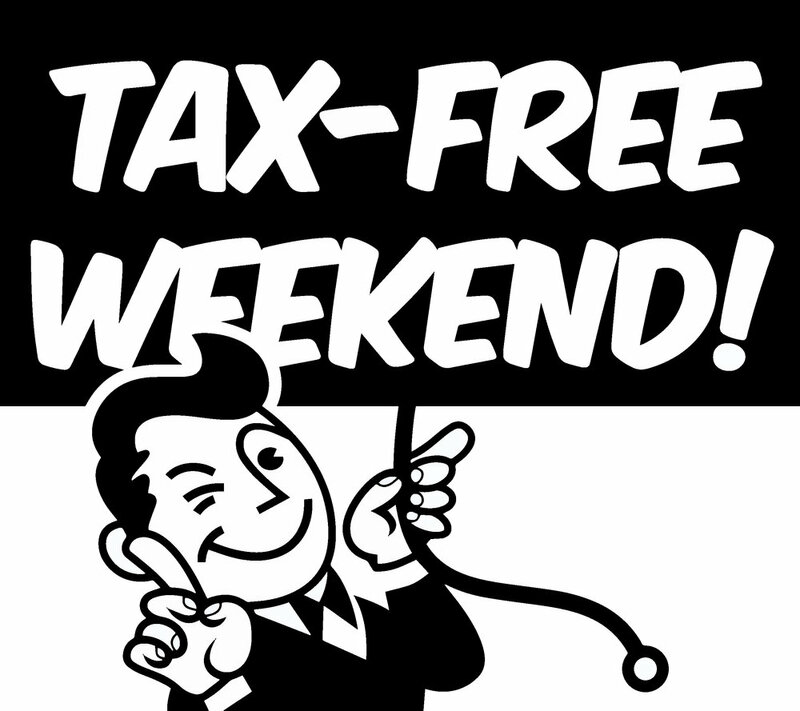 Friday (8/4) through Sunday (8/6) we're going the no taxation route for all of our apparel. We recently restocked several Oklahoma shirts, and we have a range of shop Ts standing by when you're ready for a refresh. There are new hats aplenty, an expanded Innova Disc line that includes a bunch of wallet-friendly factory seconds, and a reprint of the cork state park maps! Stop on by. Also, do it this weekend, and thanks to our fine friends at Finch Creative, you can double dip on the deals! Be one of the first 25 customers to spend $50 or more in-store, and you'll get ten bucks back at the register in the form of cold-hard cash, all courtesy of Finch. They're hooking it up. Seriously buy a cork map and throw in a couple of stickers and your order somehow gets cheaper? This is one of those things Finch doesn't have to do, and here they are doing it anyway. Extremely generous. This deal is also available at a few other great local businesses: Collected Thread, Blue 7, and Shop Good. Saturday is shaping up, meander off your couch, come kick it, and take advantage of the savings! A few months ago we thought it would be fun to host a "Retro Game Night." Y'know, whip out all of those dusty Nintendos and relive that childhood nostalgia. Well we did just that, and it was such a fun night that we decided to do another one. We spiced up the first Retro Game Night with a Super Smash Bros. tournament and people were really loving it, so this time around we decided to go with a MarioKart64 tournament. After several days of brainstorming I came up with the perfect idea for a trophy and immediately got to work. Since MarioKart64 offers two forms of gameplay, we decided to double the fun and not only do a VS Racing tournament, but a Balloon Battle tourney as well! With the help of Zach Hatlestad and Bad Granny's Bazaar we were able to crank out a few memorable advertisements for the event. If you haven't seen them yet, please click the links provided in the last sentence, you wont regret it....... With a great turnout, and plenty of classic games, we all had a blast! Dusty and I were already working, so we were the first people to start playing games. 2nd place winner of the first Retro Game Night, Austin Sanders, swung by to hold down his title. Finishing up the sloppiest brackets ever made. Zach Hatlestad, aka Princess Peach, took home the gold for Balloon Battle while Trevor Tyree was stuck taking home a 2nd place balloon. Somehow I managed to race my little heart out and take the 1st place trophy while OG Retro Night 2nd place winner, Austin Sanders, redeemed his title! Trevor ran off before we could get a group photo, but oh well! We didn't need him anyways! Thanks to everyone who came! Hope to see you next time for Round 3, STAY TUNED!